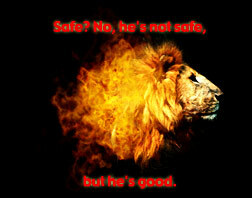 CT article Not a Tame Lion has nothing to do per se with Narnia. See the awesome movie trailer. The Narnia Tour site has been updated. they are putting together a resource packet at cost that will be of interest to Narniaphiles.